Twenty-four of these women on the list are billionaires, another record, up from 18 last year. Seven newcomers joined the ranks, including four Instagram-savvy makeup moguls. Kylie Jenner's rise as an upcoming billionaire in maybe a year tops made news as Forbes' list of richest people rolled out. Jenner is billed to overthrow the youngest-billionaire status-holder, Mark Zuckerberg, who joined the big ranks at the age of 23. But little do most people know that shooting up to Forbes' list of America's 60 self-made richest women are two women of Indian-origin. 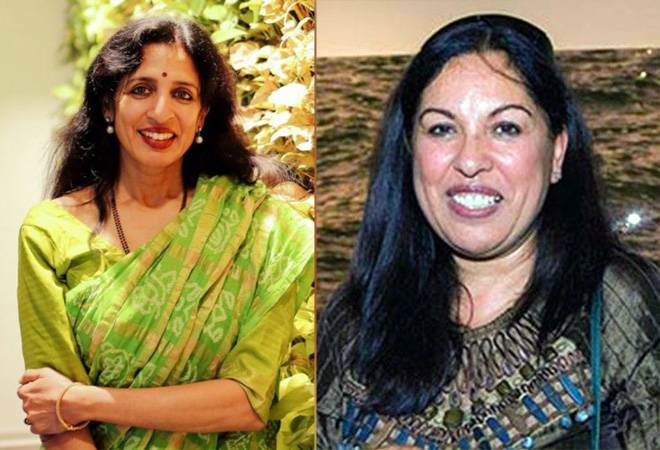 Technology executives Jayshree Ullal and Neerja Sethi have been ranked 18th and 21st with net worth of $1.3 billion and $1 billion respectively. Jayshree Ullal, 57, who was born in London and raised in India, has been serving as the President and CEO of Arista Networks, a computer networking firm since 2008. The publicly-traded company recorded revenues of $1.6 billion in 2017. Ullal owns about 5% of Arista's stock, some of which is earmarked for her two children, niece and nephew. Neerja Sethi, 63, is the Vice President of IT consulting and outsourcing company, Syntel that she co-founded with her husband, Bharat Desai, in 1980 in their apartment in Troy, Michigan. The company started out with an initial investment of just $2,000 and pulled in a mere $30,000 in first-year sales. Syntel minted $924 million in 2017 revenues and now has 23,000 employees, 80% of who are in India, Forbes said. Twenty-four of these women on the list are billionaires, another record, up from 18 last year. Seven newcomers joined the ranks, including four Instagram-savvy makeup moguls. The richest of these new faces is billionaire Anastasia Soare, whose cosmetics company Anastasia Beverly Hills, best known for beautifying eyebrows, now has more than 17 million followers on Instagram. The youngest is Jenner, who turns 21 in August. Half-sister of Kim Kardashian West, who is also on the list for the first time at the 27th spot, Jenner has leveraged her massive social media following (110 million followers on Instagram) to build a $900 million cosmetics fortune in less than three years. That makes her worth more than twice as much as her more famous sister, Forbes said. Although 17 list members made their fortunes in fashion and retail, 13 including Facebook's Sheryl Sandberg built fortunes in technology, while 10 including Oprah Winfrey and Taylor Swift made it in media and entertainment, Forbes said. The combined net worth of the 60 women on the list is a record $71 billion, 15% more than in 2017. The minimum net worth to make Forbes' fourth annual ranking of these top women jumped 23% to a record $320 million.